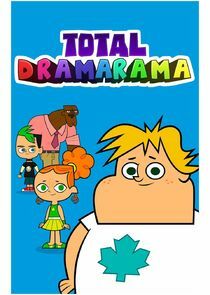 Total DramaRama is the outrageous, unexpected and totally random prequel to Total Drama Island that everyone's been waiting for! You thought the teens were manipulative? Meet the toddlers. Go back to see how the drama started! Watch pint-sized versions of your favorite Total Drama characters find adventure in the daycare center. They may be toddlers, but Duncan, Leshawna, Owen, Beth, Noah, Izzy, Jude, Cody, Bridgette, Gwen and Courtney are more outrageous than ever. Can Chef keep these crazy kids under control?